EUNICE ANNABEL: Rexona: FreshProtect technology! It's only natural that we cringe and pinch our noses when someone who smells like they haven't bathed in ages walk in the train or bus. It's rude to do so but I personally can't help it! How on earth does one walks out of his/her house with such bad hygiene? It gets so bad that it's one of reasons why I prefer to take a cab instead of public transport. I am certain that many of you know exactly what I mean. I have an aunt who isn't afraid of speaking her mind, and I remember her telling me once that she told a man on the bus off politely for his bad hygiene and body odour. She was on her way home from work feeling really exhausted and the last thing anyone would want to come across would be to sit near an inconsiderate passenger. The man was standing with his arms up holding onto the handrails while she was sitting down. Coincidentally, her face was directly beside his underarm which was (according to her) "wet" and "smelly". It was at that moment that she told him off politely and requested for him to put his arm down. Kudos to her for speaking up but I kinda also pity the man. He must have felt really embarrassed or even, hurt. I don't know what it's like to suffer from body odour (Slaps mouth. Touch wood. Thank God.) because I've always been SUPER particular about personal hygiene since I was a kid. I really thank my mom for training me well as I was growing up. She'd always emphasised on the importance of behaving well, making a good first impression, being neat and tidy... etc. Hence, as I turned 13 and hit puberty, it was natural for me to adopt the habit of cleansing my skin regularly, showering whenever I feel "dirty" and of course, applying deodorant. I've been using Rexona for years and I think I've tried almost all of their variants. I remember forgetting to apply it once in a while when I first started out but it has become a MUST DO habit over the years. In order for me to feel confident at photo shoots (especially outdoor shoots), or at events where I am constantly meeting new people, I have to make sure that I am presentable at all times. Imaging stretching out your hand to shake other's hands or stretching out your hand to take a selfie with someone only to realise that your underarm is wet! It isn't only embarrassing but it gives others a bad first impression of you. Here are some information I’d like to share with you~ Do you know that perspiration is pretty easily produced because it could be triggered by 5 factors- stress, emotions, humidity, heat and light movement. Bacteria, whether you like it or not, lives on our skin. When sweat is produced, the bacteria breaks down the sweat into acids, hence the unpleasant smell of body odour is produced. 1) Showering at least once a day with warm water. I don't know about you, but I can't bathe without warm water. I've been doing it all my life and I guess that though it hasn't done any good for my hair or skin, it definitely has killed off bacteria that present. Thus, keep BO away! Oh and if the weather is exceptionally hot and humid (like it is here in Singapore), please shower more often than just once a day. I do it twice fyi. 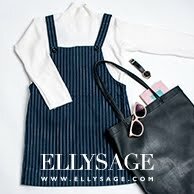 2) Wear clothes made of natural fibers like cotton (I'm not going to say wool because that's animal cruelty or silk cause that's just too expensive). Natural fibers allow your skin to breathe that will allow your sweat to evaporate more efficiently. I know we all love our polyesters, rayon or acrylic outfits but I'm sure you know how hot it can be to wear clothes of those materials in Singapore. They just don't absorb sweat. So I guess, try to only wear them when the weather is a little less sunny and humid? 3) Surprisingly, spicy food may cause the production of sweat to be pungent. Apparently, the spice can lead to "excessive sulfur in your food intake, which will be eliminated through skin's pores and breath." This is pretty shocking to me because I LOVE SPICY FOOD. I can't imagine eating food without chilli :( Well, I guess the only way to tackle this is to have a well-balanced diet where everything's in moderation. 4) Wear an antiperspirant deodorant! An antiperspirant blocks the sweating action of the glands, resulting in less sweating. With less sweat, bacteria can't act on it. Hence, no BO will be produced! As mentioned earlier, I use Rexona not only because it's an antiperspirant, it is also the only deodorant with FreshProtect technology to keep you fresh for longer! Basically, what its FreshProtect technology does is that it emits Micro-Capsules on the surface of the skin. As you go about your day, your movements will cause the Micro-Capsules to break and release little burst of freshness throughout the day! Rexona works for me so if you would to ask what I sort of deodorant I use, now you know! ;) If you're able to stay clean, dry and fresh throughout the day, you're considered to have passed the test. And I know I have! hehehe. I can't leave my house without applying deodorant. It's really the first thing I do the moment I step out of a shower. 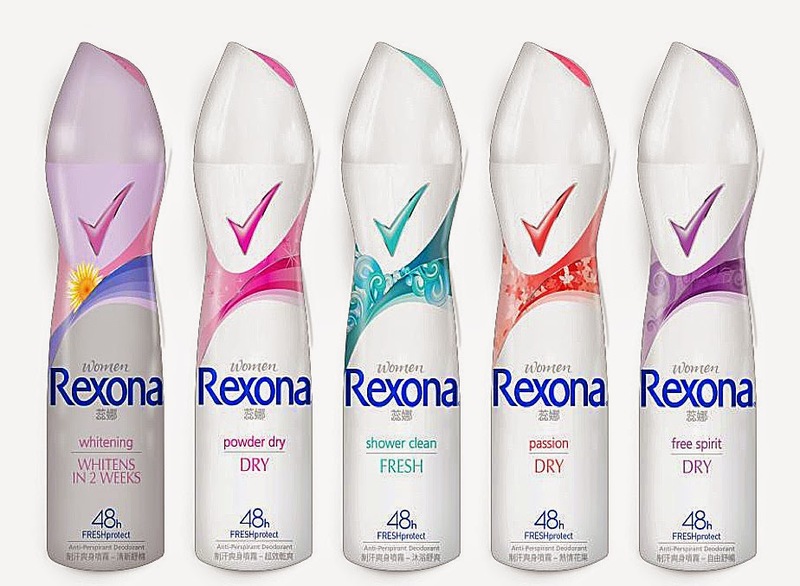 Rexona is available in different variants to suit various lifestyles and preferences. At the moment, I am using Shower Clean and Whitening. Shower Clean is a variant that has an energising shower fresh scent that makes me feel super clean applying it after my shower. It's kinda like an additional boost of confidence and freshness! The Whitening variant contains sunflower oil, hence it helps to lighten and smoothen underarms in 2 weeks. I've been using this pretty much my entire life! Who doesn't want white and smooth underarms? It gives me a lot more confidence to wear sleeveless tops. Other variants include Free spirit that comes with a uplifting mild fragrance, Passion that comes with a vibrant floral fragrance and Powder dry that gives you a powder dry scent and a smooth feel. All of which has FreshProtect technology for long lasting protection from sweat and odour. Wanna stand a chance to be one of the 10 lucky winners picked by the Rexona team every month to win exclusive Rexona giveaways? Check out Rexona on their Facebook Page at https://www.facebook.com/rexonasingapore and join their monthly giveaway! A contest consisting of questions will be held every month for 4 months (Jul- Oct) and all you have to do is answer it by leaving a comment below the post (http://bit.ly/RexonaStayFresh01). Did you know you can create short urls with Shortest and receive $$$ from every visitor to your short links.